Some environmental pundits say that the carbon impact of a pet can equal that of driving a large car. As an expert on the subject, I can pretty much say my people would be lost without me in their life. Not only can they count on a kiss whenever they’re feeling down; but once my stomach starts growling in the morning, I’m a punctual alarm clock. Most of my kind can entertain kids for hours with a Frisbee or ball—me, not so much. And while I don’t want to brag, my imposing size and bark keep my people feeling safe. I tend to get my people off the couch for a brisk walk every day. And since the average person burns about 150 calories in 30 minutes of exercise…add up five days and I’ve got them losing a pound a week! And ‘between dogs’—I pretend I’m interested in the squirrels just to pick up the pace. But let’s face it, with over 78 million dogs in the United States it is important to make sure our people understand how ‘walking’ a little more lightly helps take care of us, the planet and the community we love. Let’s start with a subject near to my stomach, food. Eating and living more organically these days? 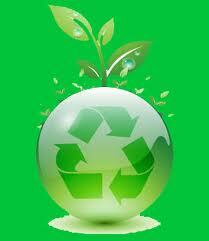 Shunning the chemicals from your foods and your cleaning products? Buying local? All these principles are important for us dogs as well. While you might think its cost prohibitive for you to feed me organic food, you might find that it’s just pennies a day that you’ll save in the end in veterinarian visits. It is important for you to know what goes into every food bag and where it’s produced. Food that is produced overseas requires an excess amount of energy to get it to our door and may not use processes that are environmental-friendly. Consider local brands that have limited ingredients with the majority being meat and vegetables. Food produces waste, so let’s not beat around the bush—let’s talk poo. First of all, furry friends please talk with your people, tell them—It’s not okay to leave my poo ever, even in a bag, at the side of the road, street, trail—even if they plan to pick it up on their way back…nobody wants to see that, for shame!” Bags do add up, so please purchase bio-degradable ones. Better yet, designate a small area in your own fenced yard and fill it with pebbles and train your young ones to do their business there. Using a shovel to collect the waste into a stainless steel covered can reduces the number of bags needed and keeps our walks smelling fresh and embarrassment free. My people even considered a composting doggie toilet for their yard, but it turned out to use many gallons of water and that’s a precious resource in our continued drought conditions. When not properly trained or allowed to roam freely, dogs can harm native wildlife or precious landscaping. Dog parks are a great alternative, as long as you’re not driving miles to visit a preferred venue. Playtime is a major priority for me—tired dogs are good dogs, so purchase a good supply of environmentally friendly toys and rotate them out every few days. Truth be told, I rather have a stick, a deer antler or a rope instead of a plastic toy any day! I’m not one of those dogs that particularly like bath time, but once resolved that it’s gonna happen and I’m clean—I like the way my people nuzzle me. Unfortunately, just like human grooming products, dog shampoo, flea treatments and other care products can contain a large amount of chemicals which get washed down into our waterways and aren’t great for us dogs either. Most organic liquid soaps are fine for dogs, like Dr. Bronner’s Castile Soap, but my people usually use Burt’s Bee shampoo to keep my coat shiny and clean. Far be it for me to be politically correct—my people got me from a reputable breeder instead of a shelter. It’s a long story, but I’m happy we’re together. But there are lots of reasons to adopt a shelter dog. There are over 2.7 million adoptable dogs (and cats) that are still euthanized each year in the US because too many pets come into shelters than there are resources and dollars to care for them. Many of these are happy, healthy pets whose people could no longer care for them, not because the dog did anything wrong. Consider adopting one of these furry friends and not only will you get a great dog, but it’s wonderful for your self-esteem since you’ll be saving a life. Have a great green doggie tip? 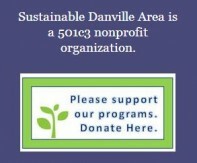 Share with us at www.facebook.com/sustainabledanvillearea .